Following the collision involving the Spirit of Bermuda and a ferry, repairs have been made to the Spirit of Bermuda and the ship is now ready to host the M3 School Voyages. A Bermuda Sloop Foundation spokesperson said, “We are pleased to announce The Spirit of Bermuda is back in full operation. The ship’s bowsprit underwent repairs and the ship is now ready to host the M3 School Voyages that start on September 25th. “Spirit was surveyed and inspected by the American Bureau of Shipping’s surveyor and they gave us full certification to operate. 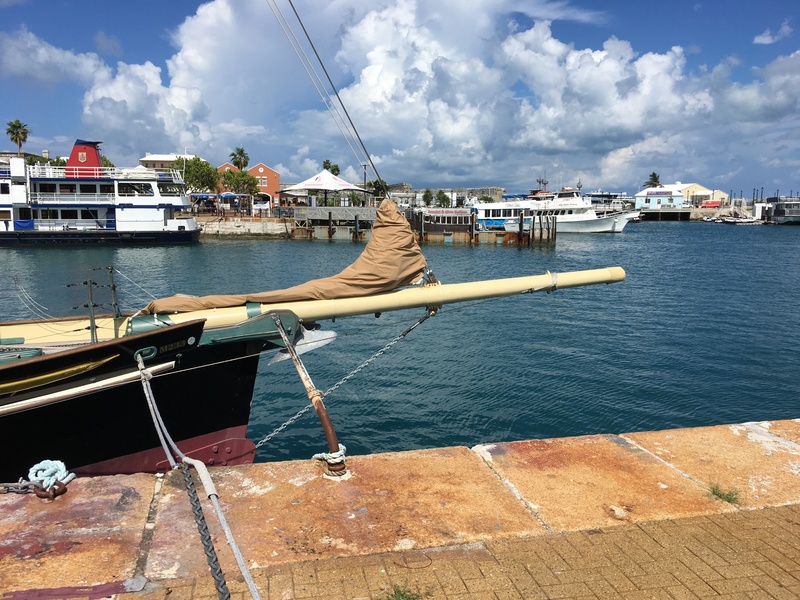 The Bermuda Sloop Foundation is looking forward to doing the permanent repair work to the bowsprit in the spring of 2018 before the overseas voyages. “The captain and crew are excited to welcome the first group of students from Dellwood School onboard the Spirit of Bermuda next week. Parents and families should be assured that the ship is safe; it underwent a high standard of inspection for the ship to be fully operational. The safety of all students, teachers and crew continues to be our top priority. “We hope all the new student trainees have an experience of a lifetime on Spirit as we begin the new academic school year. Well done all for getting her ship shape! Sign o d times my bye, sign o d times..
May be next time at night you will employ a look out . The vessel should be lit up like a Christmas tree. Who was in posession of the 2,000 cp torch. Is the captain looking for work? Did you get on CH16 and announce your intensions. You are lucky there was no death tragedy ! What has common sense got to do with it?